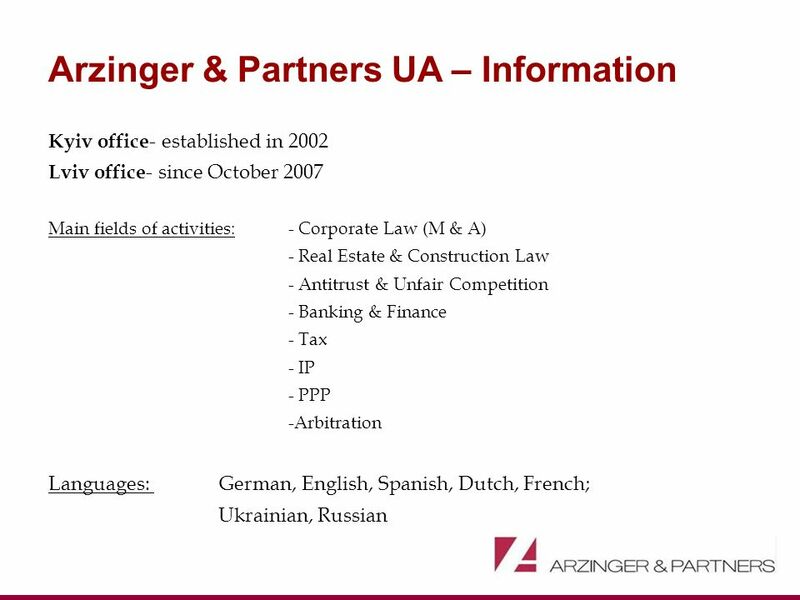 Third CIS Local Counsel Forum Doing Business with the State- PPP Saint Petersburg, June 27, 2008 Wolfram Rehbock Arzinger & Partners Business Centre Iceberg. 5 I. 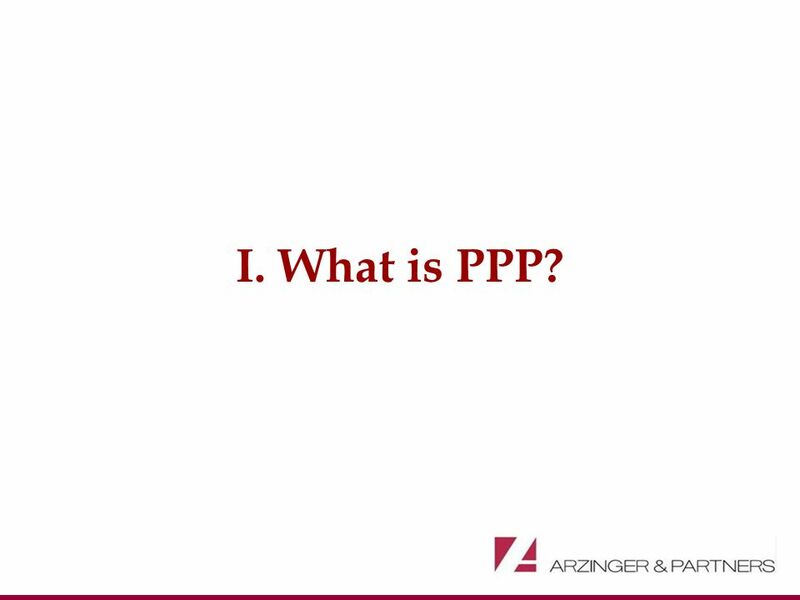 What is PPP? 12 1. 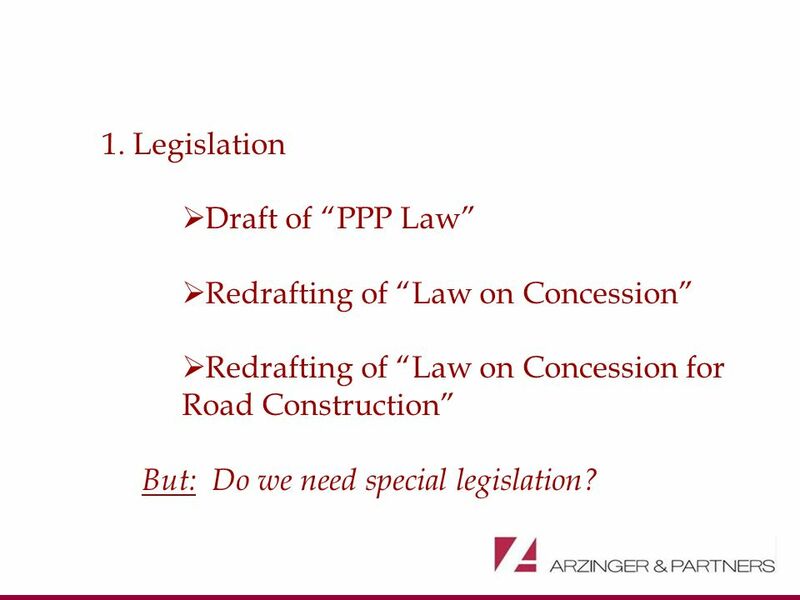 Legislation Draft of PPP Law Redrafting of Law on Concession Redrafting of Law on Concession for Road Construction But: Do we need special legislation? 14 Thank you for your attention and endless patience! 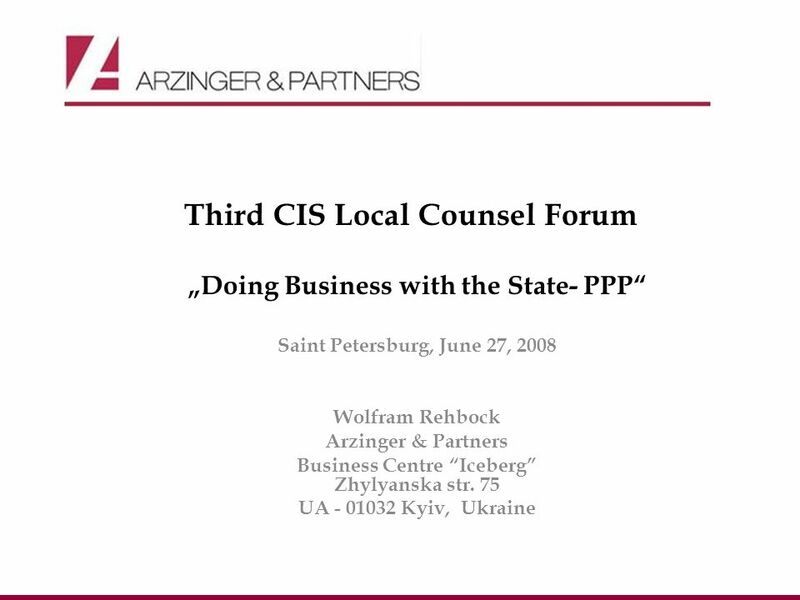 Download ppt "Third CIS Local Counsel Forum Doing Business with the State- PPP Saint Petersburg, June 27, 2008 Wolfram Rehbock Arzinger & Partners Business Centre Iceberg." 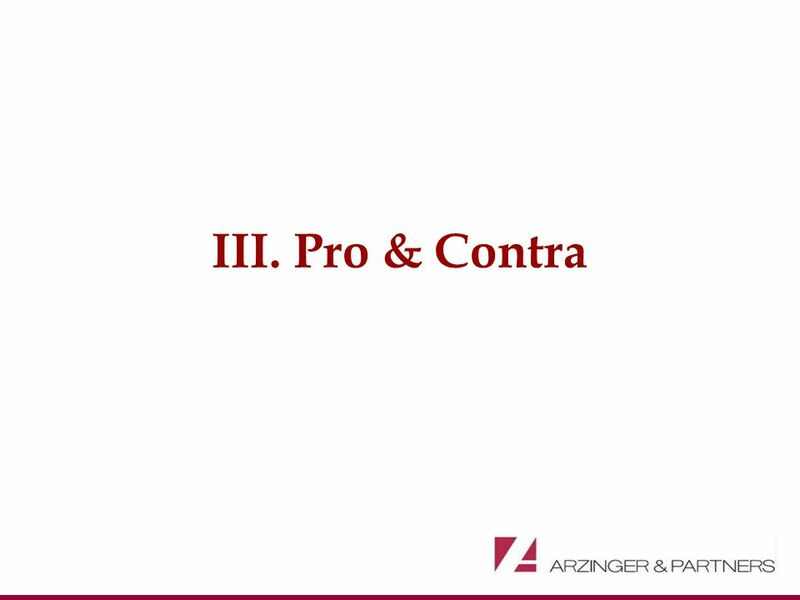 Jan Kohout Partner PROCHÁZKA / RANDL / KUBR attorneys at law Third CIS Local Counsel Forum Panel on Real Estate and Tax Outline of Real Estate Law and. EURORAIL Project Organizational model. EURORAIL Project Initiator: Ministry of transport and communications of Ukraine Lviv Oblast State Administration. 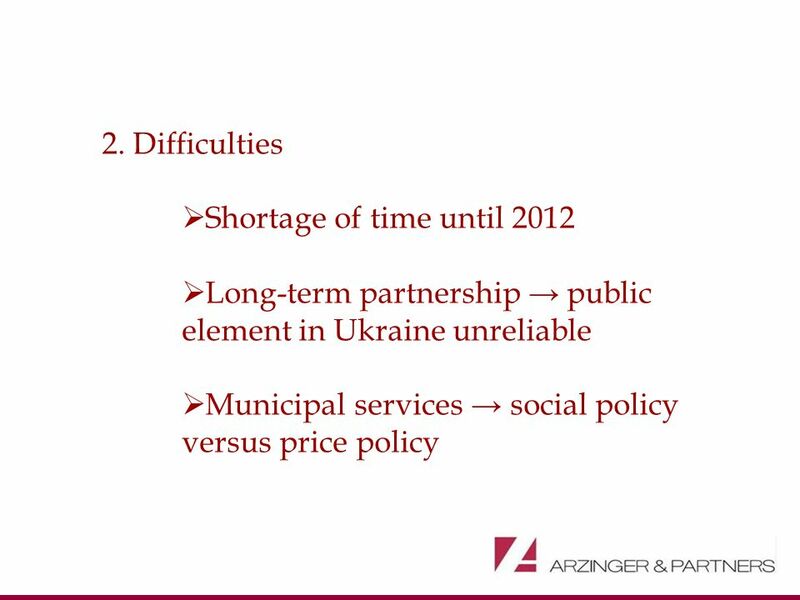 1 University of Economics of Prague Western Bohemian University, Pilsen Actual challenges of implementation of PPP projects in Czech republic Zuzana Khendriche. Civil Society Days Strengthening democratic spaces for civil society in the European public sphere Civil dialogue practices in Europe The example. Wales Governance Centre, Cardiff University, Cardiff Business School and the Centre for Federalism Studies, Turin SPECIAL ONE DAY CONFERENCE Financing. KRK Group consists of experts in the area of Law, Finance, Marketing and Information Technologies, having deep knowledge and significant experience in. FORUM ON BRITISH INVESTMENTS TO THE PROFIT OF NIGER London June 14th 2012 PUBLIC PRIVatE partnership in NIGER. 1 Overview and Outlook for PPP Projects in Vilnius Mrs. Ruta Vainiene Adviser to the Mayor of the City of Vilnius November 22 nd, 2006 Vilnius. 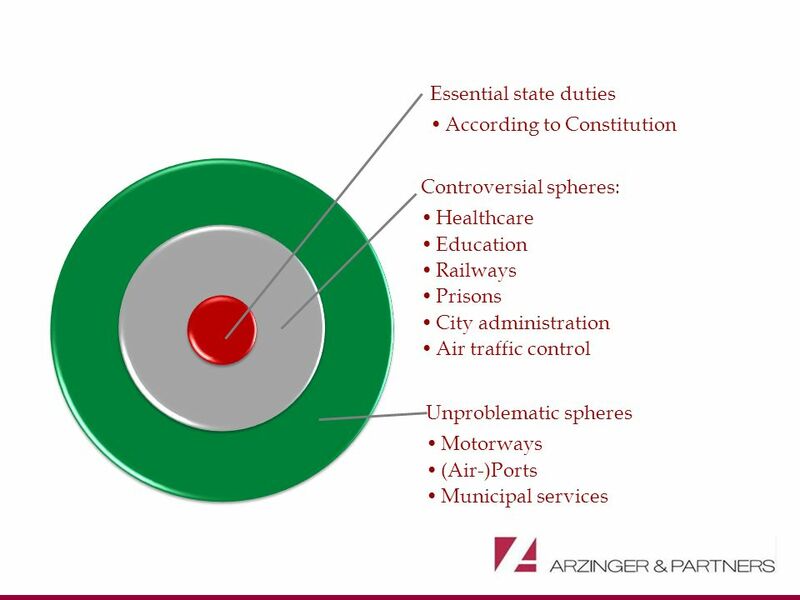 A framework for organising and financing infrastructure provision Jan-Eric Nilsson, VTI. 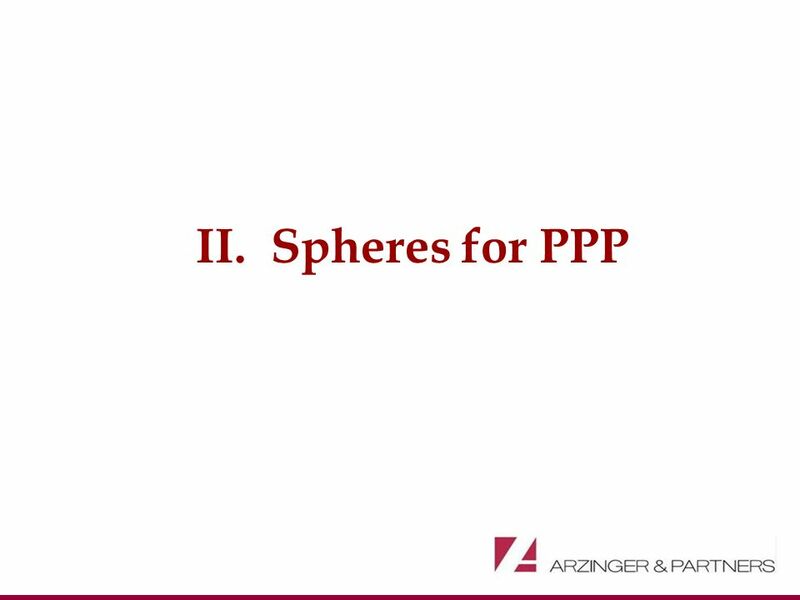 Partner leading to development ! bsc-group.az. ● BUSINESS SERVICE CENTRE ■ ABOUT US ● MAIN LINE OF ACTIVITY ■ LEGAL SERVICES ■ FINANCIAL SERVICES ■ MARKETING. Wien.arbeiterkammer.at Consumer Policy of the Austrian Chamber of Labour Gabriele Zgubic Austrian Chamber of Labour ECCG March 2014 ECCG March 2014. 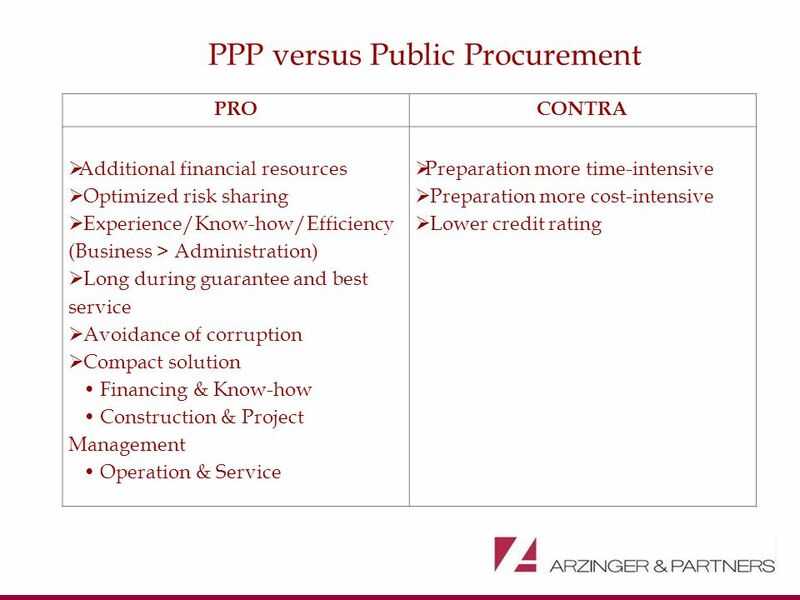 Intellectual Property Strategy: Professional Skills for IP Asset Management June 6, 2005 Maputo, Mozambique. Third CIS Local Counsel Forum „Doing Business with the State – Public Procurement in the EC“ Saint Petersburg June 27, 2008 Markus Jakoby · Jakoby Rechtsanwälte. 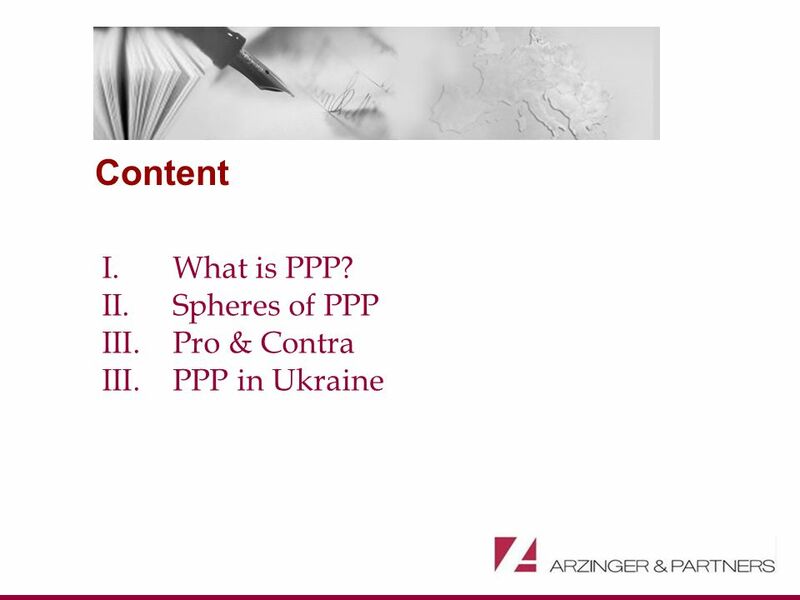 Disputes settlement in the CIS: any signs of pro- arbitration approach? 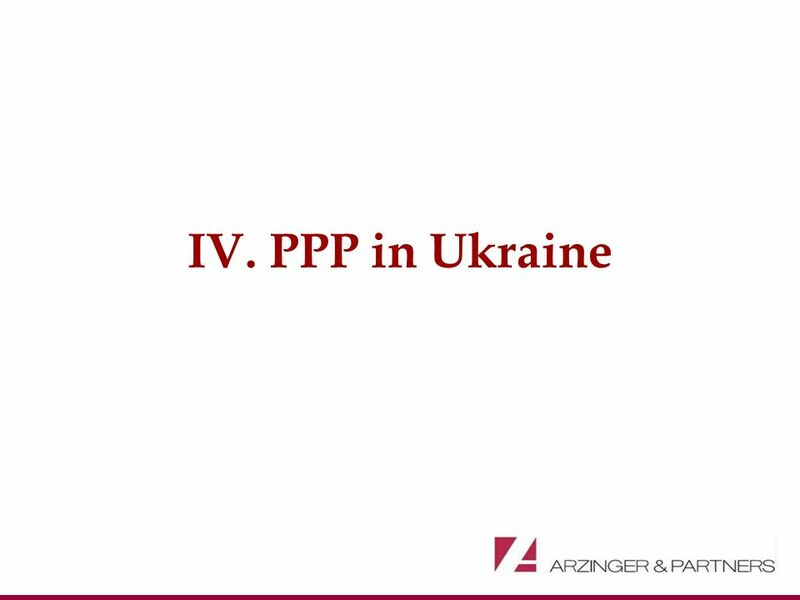 Markian Malskyy Partner, Attorney-at-law Moscow, 2012.
Business restructuring Using UK companies in business restructuring Maksym Cherkasenko Partner Limassol 2009.